– The Spanish-born Puerto Rican tenor will make his debut in Malaga in June, after more performances of Street Scene, by Kurt Weill, at Teatro Real. Joel Prieto’s career is constantly leading him to explore new formats. This season has taken him to venues such as the Dresden Semperoper (Les Troyens, by Berlioz), the Grand Auditorium in Luxemburg (Die Csárdásfürstin, by Kálmán, alongside the Orchestre Philharmonique du Luxembourg), the Teatro Real in Madrid (Street Scene, by Kurt Weill), the Casals Festival in Puerto Rico (Mozart´s Requiem with the Puerto Rico Symphony) and to Santiago de Chile (Don Giovanni, by Mozart), among other engagements. On the 8th, 9th and 10th June he will return to Spain for another change in style. This will be to sing at the Malaga Classical Festival, where he will participate in two concerts dedicated to Spain (Teatro Echegaray in Malaga) alongside renowned musicians such as Jesús Reina (violin), Misha Dacić (piano), Eric Silberger (violin), Alberto Martos (cello), Moritz Winkelmann (piano), Eleanor Kendra James (viola), Char Prescott (cello) Anna Margrethe Nilsen (violin), Christopher Schmitt (piano) and Gabriel Ureña (cello), Joel Prieto will be the only opera singer among them. On the 8th he will be singing music by foreign composers who were, in one way or another, fascinated by Spain and its culture and music, including Beethoven, Rossini, Poulenc, Scarlatti and Fauré. In the concert on the 10th he will perform some of the most famous zarzuela romances composed by Sorozábal, Soutullo, Vert and Guerrero, among others. Between both concerts, on the 9th June, he will give a masterclass, organized by the Malaga festival. 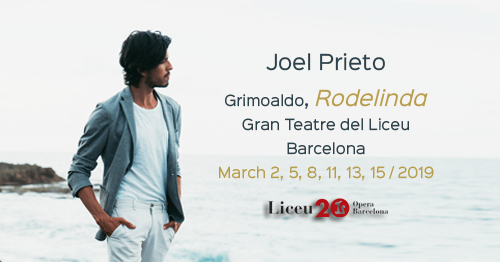 Before his debut in Malaga, Joel Prieto will return to the Teatro Real in Madrid, the city of his birth, to give more performances as the male lead of Street Scene (26th, 27th, 29th, and 30th May and 1st June), which he also did last February at the same theatre in the premiere of Kurt Weill’s American opera in the Spanish capital. This summer, as well, Prieto, who was the winner of the 2008 Operalia competition, will continue in Spain to give two concerts in Palma, Majorca, organized by the Salzburg Festival (5th and 6th July) and a third, in the same city, for the Baden-Baden Festival (11th August). 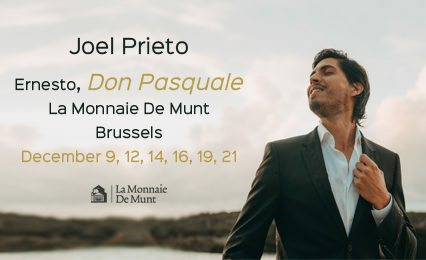 Mozart has pride of place among Joel Prieto´s engagements, and the acclaimed tenor will once again be performing an opera by the composer on the 16th, 20th, 23rd and 26th April. This will be a production of the second opera in the Mozart/Da Ponte trilogy, Don Giovanni, and the performances will open the season at the Teatro Municipal in Santiago, home of the Ópera Nacional de Chile. The production is directed by Pierre Constant and conducted by Attilio Cremonesi, who will be working to discover the secrets that Mozart imagined for his version of the Don Juan myth. 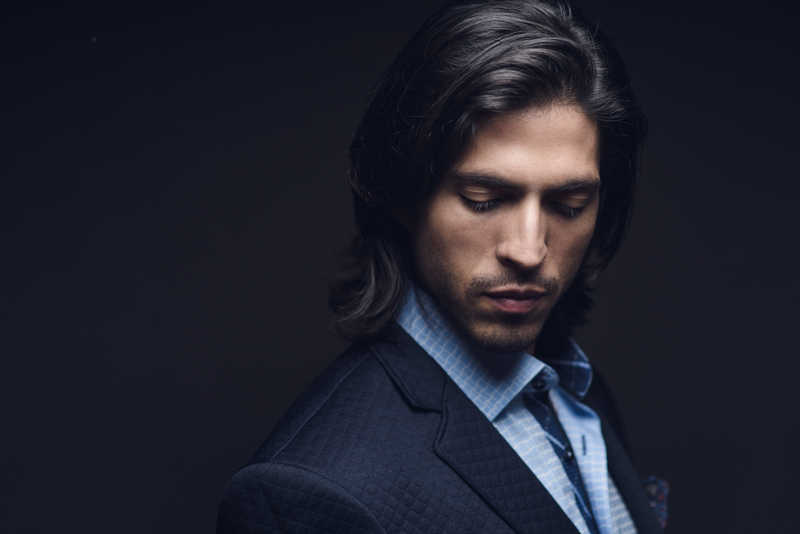 Alongside Joel Prieto, who will take the role of Don Ottavio, will be Levent Bakirci (Don Giovanni), Michelle Bradley (Donna Anna), Paulina González (Donna Elvira), Edwin Crossley-Mercer (Leporello) and Marcela González (Zerlina), among others. Prieto made his debut at the Municipal in Santiago in 2009 with Pagliacci´s Arlecchino, returning in 2014 with The Magic Flute. The tenor states that he is “delighted” with his return to Chile. “I have fantastic memories of the work we did four years ago at the Municipal, a theatre in which marvellous things can be done, and I am sure that audiences will have a great time with this Don Giovanni, which is fresh and full of dramatism,” he notes. Born in Madrid (Spain), brought up in Puerto Rico and trained in New York, Joel Prieto will be returning to Santiago de Chile after his triumph at the Madrid Teatro Real in one of the lead roles in Kurt Weill´s Street Scene, and after his return to Puerto Rico for the last concert in this year´s Casals Festival, with a Mozart Requiem alongside the Puerto Rico Symphony Orchestra. After Don Giovanni in Chile, the 2008 Operalia competition winner will return to the Caribbean island to give a concert with the San Juan Children´s Choir (May), he will return to the Teatro Real in Madrid for a new run of performances of Street Scene and will give a recital at the Málaga Clásica Festival (Spain).